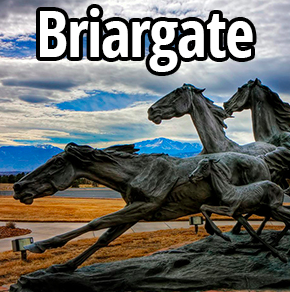 Briargate is a Master Planned Community in Colorado Springs, Colorado. For community information, click here. Briargate is the biggest neighborhood in School District 20 in northern Colorado Springs. Designed in the late 70's to be a place to live and work and play... A community within a community. Today, Briargate boasts some of the best schools in the state, modest and high-end housing, wonderful shopping, restaurants, hospitals, and easy access to Interstate 25 and the Powers Boulevard Corridor. The Fantastic District 20 schools include Explorer Elementary, Challenger Middle School, Liberty High School, and Rampart High School just to name a few! John Venezia Community Park features a ranch theme with elements designed to resemble what would be traditionally found on a homestead. The amazing park includes a large pavilion and picnic area with orchards and parking lot, a universally accessible playground with shade shelters, a whimsical and fun spray ground, a small artificial turf field, soccer fields, in-line hockey rink/basketball court, four pickle ball courts, plaza overlooking multi-use fields, small playground, and two miles of interior sidewalks. Rampart Park is a 78.4-acre community park. This large park has a center developed area with grassy fields and a spacious perimeter of natural vegetation. Rampart Park offers recreational opportunities for everyone, with a basketball court, baseball field with shaded benches, playground for kids, picnic pavilion, paved walkway around the developed area, soccer field, tennis courts, fenced dog park, disc golf course, and a BMX bike track. The Skyline Trail, an urban path, traverses the west side of the park. The main entry to the park is from Lexington Drive on the north side of the high school. Two large parking lots are on either side of the baseball diamond. Briargate is home to a myriad of activities that promote recreation, worship, shoppings, dining and learning including the Challenger Learning Center, the only one in the state of Colorado. Recreational activities in Briargate include the Briargate Family YMCA, the highly-rated Pine Creek Golf Course, The Promenade Shops at Briargate. Almost all home sizes and prices exist in Briargate. From starter homes to executive golf course living. All homes are 1980 and later. The majority built between 1995 and 2005. Zip codes include 80920 and 80924. 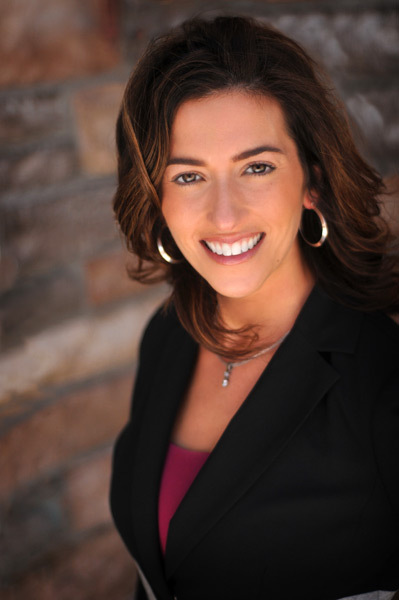 Briargate is geographically convenient to all major employment in El Paso County. A master-planned community, Briargate was built with a suburban residential focus. Schools, grocery, parks, open spaces and some commercial development are all thoughtfully placed and located. People live in Colorado because of the quality of life, and Briargate is Colorado living at its best!